Curaplex® pulmonary function testing (PFT) filters provide a barrier against potential contaminants, such as bacteria and viruses, without interfering with the performance of PFT equipment. Electrostatically-charged hydrophobic fibers combined with the flat design of the filter help capture microorganisms and other rogue particles. 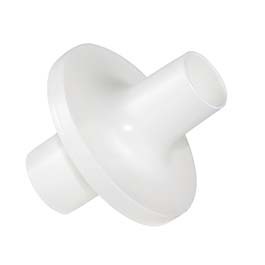 The filters are designed with the patient’s comfort in mind and include several mouthpiece style choices. Optional accessories include disposable nose clip and/or rubber mouthpiece to fit patient’s specific needs.